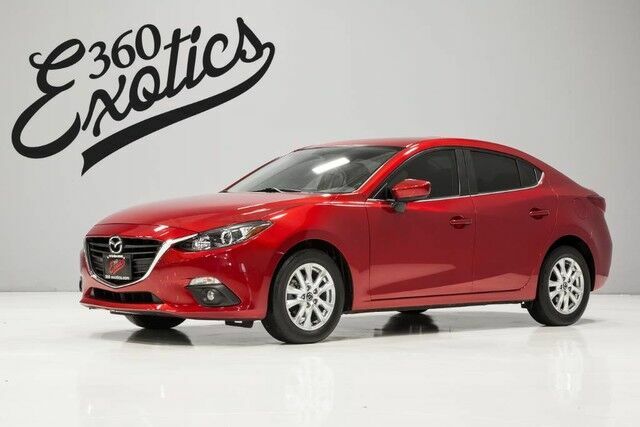 360 Exotics is pleased to be currently offering this 2016 Mazda Mazda3 i Touring with 17,300mi. Your buying risks are reduced thanks to a CARFAX BuyBack Guarantee. The Mazda Mazda3 i Touring speaks volumes about it's driver, uncompromising individuality, passion for driving, and standards far above the ordinary. It's exceptional fuel-efficiency is a clear sign that not all vehicles are created with the same standards. The Mazda3 i Touring has been lightly driven and there is little to no wear and tear on this vehicle. The care taken on this gently used vehicle is reflective of the 17,300mi put on this Mazda.